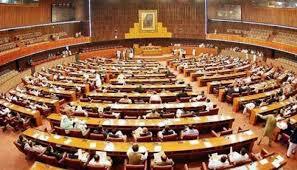 ISLAMABAD: Speaker National Assembly Asad Qaiser has said that the “Back Benchers Day” will be observed to encourage the participation of the members of National Assembly in the proceedings of the House during the session. “The participation of women parliamentarians in the legislative process and other proceedings of the House are commendable,” he expressed these views while addressing the participants at the workshop on “Women in Political leadership” held at Pakistan Institute of Parliamentary Services (PIPS), on Tuesday. The NA Speaker said that empowerment of women and to ensure their participation in the national politics was the foremost priority of the incumbent government and appointment of 64 percent women parliamentary secretaries in the House is a step forwards in this connection. 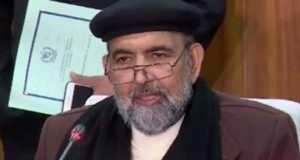 He said that as a Speaker in KPK Assembly, during last five years, he got enacted the legislation regarding women empowerment where women members of the provincial assembly participated whole heartedly. Besides this, he said a number of university, schools and technical institutions were established which not only create awareness regarding women rights but enhanced their role for country’s development. He urges upon the women parliamentarians to actively take part in the proceedings of the House and introduce legislation to safeguard the rights of the women and to resolve the problems being faced by the women in the country. Emphasising upon the collective efforts for the development and progress of the country, he said that no nation can make progress unless its women take part side by side of men in the development of the country. He eulogised the women’s participation in the proceedings of the House with full preparation and their contributions in development of the country. On this occasion, the women parliamentarians thanked the Speaker and appreciated his neutral role in the House. They said that Speaker Asad Qaiser always appreciated their role and encouraged their participation in the legislative process. They assured their support in law making process and reiterated their commitment to introduce legislation in the House to protect the rights of women and resolve the problems being face by them. The workshop was attended by women members of the Senate, National Assembly and all four provincial assemblies, senior officer of the National Assembly Secretariat and Pakistan Institute of Parliamentary Services.